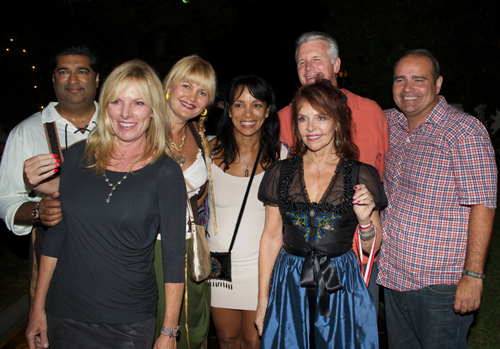 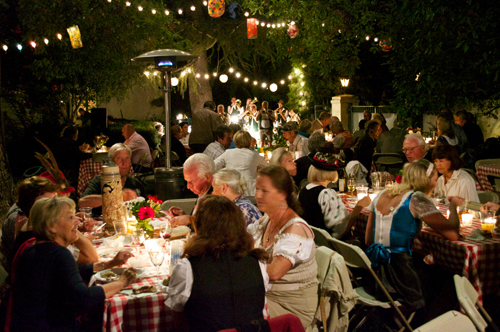 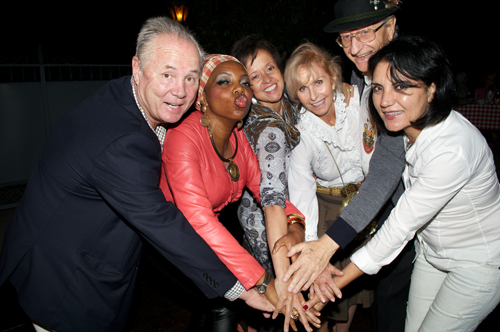 The Los Angeles-Berlin Sister Cities celebrated the Oktoberfest in grand style at the Residence Gardens of Rosemarie Reisch in San Marino on September 21. 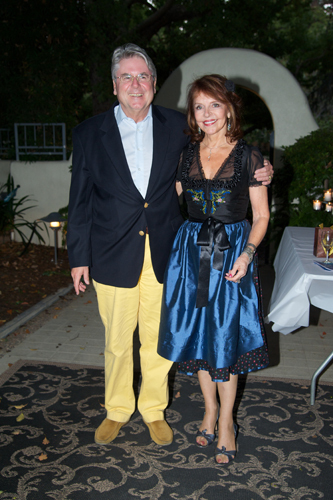 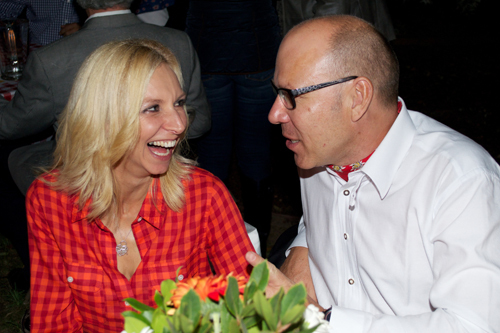 The gracious hostess Rosemarie Reisch invited guests to an evening that provided an exquisite experience skillfully combining both the traditional and the stylish. 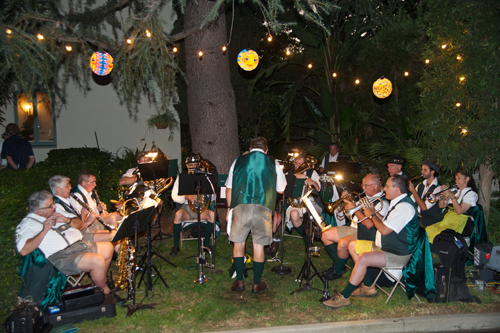 Attendees enjoyed a wide selection of hearty German food and danced the night away to the sounds of authentic Bavarian music provided by the German-American Brass Band. 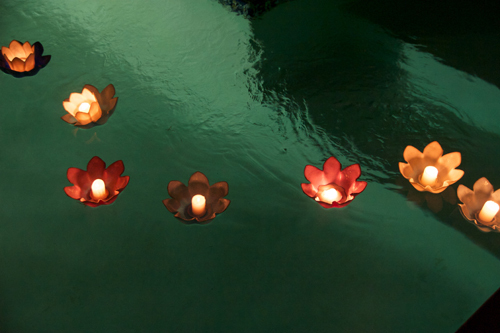 The spectacular setting included a generous dance floor, tables lovingly-set in the Bavarian style, and an expansive pool shimmering in the moon light and resplendent with dozens of floating lotus-style candles as a visual highlight of the evening to delight the guests. 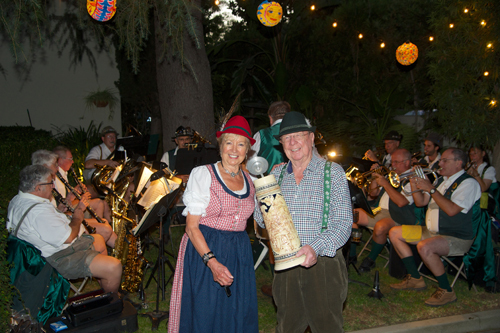 Rosemarie Reisch was presented with a certificate for her tireless engagement and energetic commitment to the LA-Berlin Sister Cities mission by Hollywood Concilman Tom LaBonge. 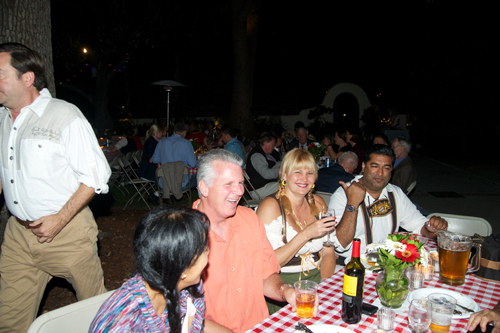 Guests of honor included Consul General of Germany Dr. Bernd Fischer and his wife Jutta Fischer and prominent representatives of the arts and commerce from both sides of the Atlantic, amongst the illustre guests were Tanya and Jürgen Kipar, VP Mercedes Benz Southern California, Justinian Jampol, Director of the Wende Museum, Fareed Majari , director of the Goethe Institute, Wolfram Doelker, Presidemt of GABA, Basil Hoffman, actor of 'The Artist,' and Ellen Neu, President of the German-American League. 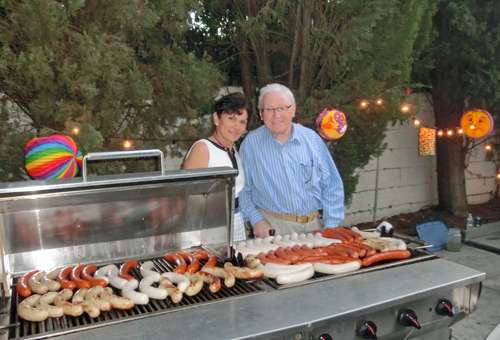 A very special thanks goes to Tina and Bob Blum who provided the wide selection of German style food. 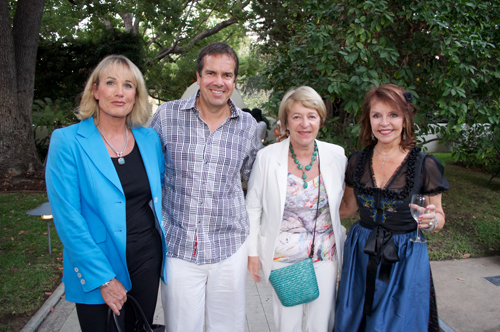 Under the graceful guidance of the hostess, the invited guests mingled with international captains of the industry and visionaries in culture, design and fashion, among them Jürgen Kipar, CEO Mercedes Benz - Tech-Center USA; Titus Johnson, VP airberlin NY and Madeleine Vogelsang, Product Manager airberlin Miami office; Burkhard Kieker, CEO Berlin Tourismus Marketing; Berkan Tuezanatac, CEO of the German-Turkish Berkan Design; Plateau-One Fashion Designer Harriet Selling; and acclaimed jazz musician Reinhold Schwarzwald; as well as representatives of German-American institutions in Los Angeles.